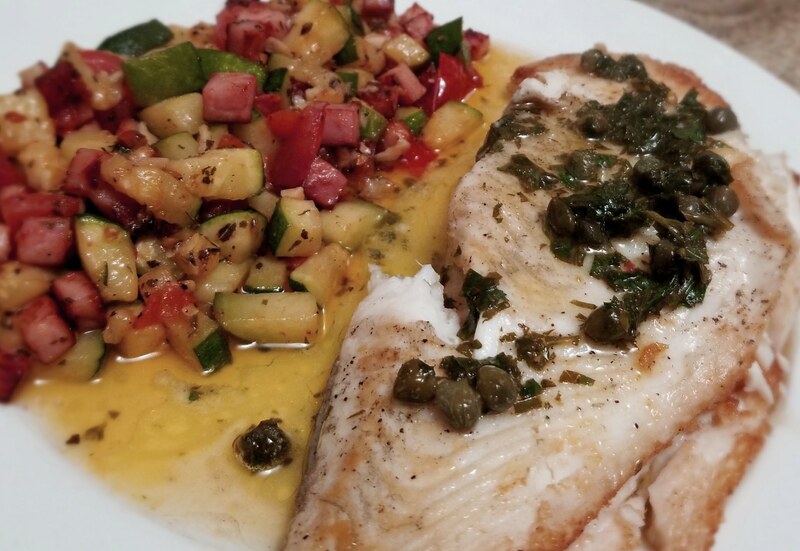 we got a sautee of zucchini, garlic, tomato, basil, pancetta in avocado oil, with a pan cooked icelandic sole with a butter, caper, lemon, parsley sauce. Breakfast for dinner today. Bigger version of what I've had for breakfast. 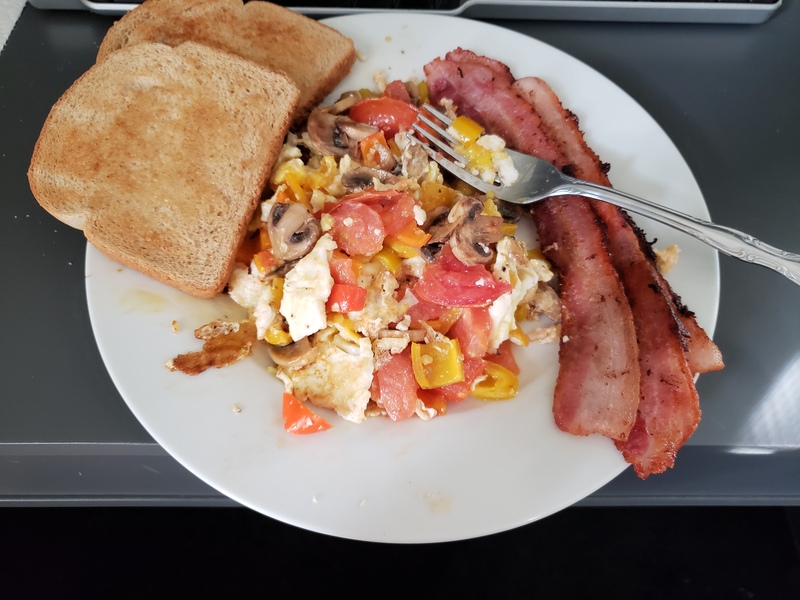 Eggs over easy, veggies (tomato, mushroom, sweet peppers, and normally spinach), toast, bacon on weekends. 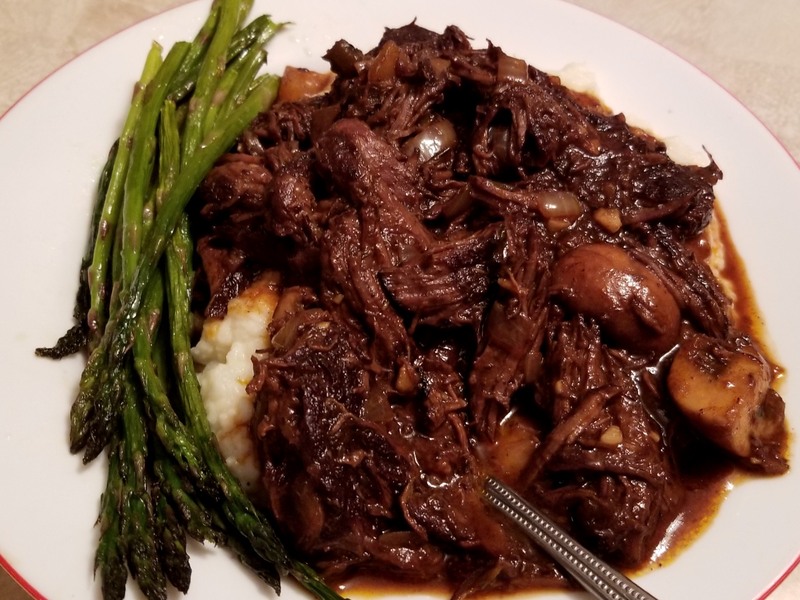 well, it's not the food pron i wanted (it never is) but in my defense it was my 1st time cooking beef short ribs, with a new cast iron pot, on a monday night, while funneling liquor down my gullet. this is a 3-3.5 hour cook. 1) brown beef ribs on all sides. set aside. 2) sautee a mirepoix (onions, celery, carrots) until cooked. then add garlic until cooked, then add tomato paste until cooked. 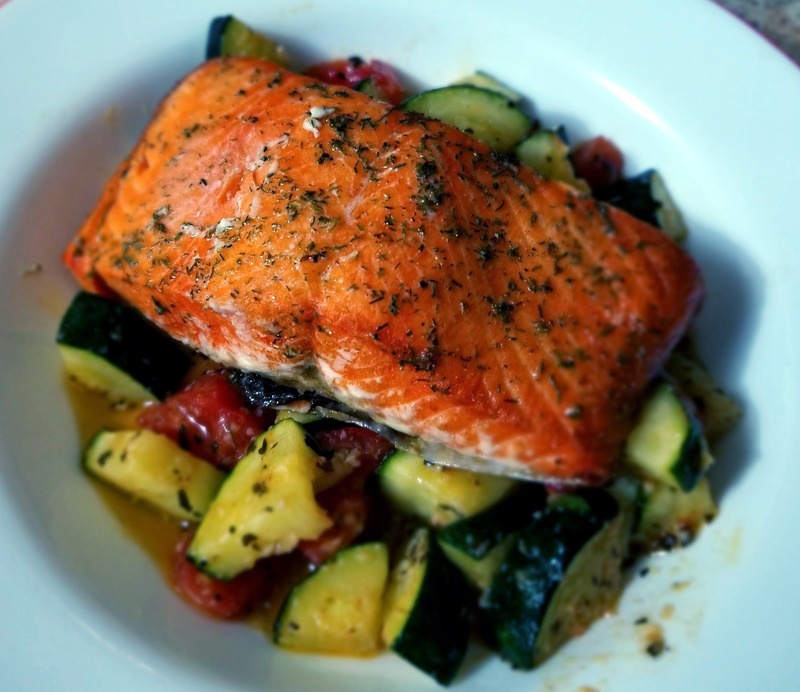 3) add red wine (used a nice dry ontario cabernet sauvignon). cook until the alcohol is cooked off a bit, then add beef stock. 4) re-add the browned ribs into the pot, cover, and put in oven for 2-3.5 hours. 5) once cooked, set the ribs aside, strain out the veggies so youre left with a nice flavourful sauce. 6) sautee crimini mushrooms and onions in oil and butter in the same pot. once they are cooked, re-add the beef and strained sauce from before. 7) bring to simmer to let all the flavours mesh. start a U S A chant and eat. 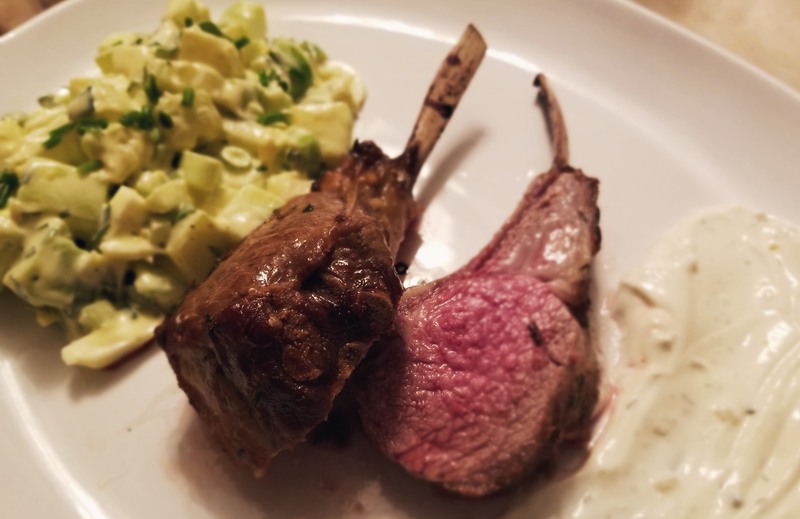 served on top of cauliflower puree (with butter and sour cream) instead of mashed potatoes because we are athletes amirite. and some roasted asparagus.